Setelah Materi Terakhir " Evangelion " Tahun 2009, Frontman Adam Michal Darski AKA " Nergal " Di Diagnosis Mengalami Leukimia Pada Agustus Tahun 2010, Sehingga Nergal pun menjalani beberapa bulan dalam pengobatan, menjalani transplantasi sumsum tulang dan Memulihkan Kondisinya selama Musim Dingin.Selain itu Nergal masih harus menghadapi Sidang Tuntutan Hukum 2 Tahun Penjara pada Maret 2010 di Polandia atas tuduhan mencela agama dengan merobek Alkitab di atas panggung pada tahun 2007. Nergal membuat argumen bahwa ia memiliki lisensi artistik untuk meningkatkan Performa live-nya dengan melakukan tindakan seperti itu, dan menyarankan bahwa itu tidak dimaksudkan untuk menjadi sesuatu yang bersifat ofensif. Nergal adalah Pendukung kebebasan berbicara termasuk dalam hal Agama di Polandia. Memang bukan hal omong kosong Jika Nergal Melakukan Hal tersebut mengingat Pengetahuan dirinya tentang Agama sudah dikuasainya dalam belajar Ilmu Sejarah selama 6 Tahun di Universitas di Gdansk, untuk memenuhi syarat dirinya menjadi seorang kurator museum. nah sejak dirinya mengalami Hal ini, Drastis Aktifitasnya di Behemoth Harus terhenti. Tahun 2013 Behemoth Kembali setelah Pulihnya kondisi Nergal sekaligus mengenalkan Imej Baru Tentang dirinya yang kini lebih memilih Berambut cepak sejak Rambutnya Rontok pasca menjalani Kemotherapi. EP " Blow Your Trumpets Gabriel " Menjadi Kerinduan Nergal untuk Kembali kepada Fans-nya. Whether consciously or unconsciously the modern death metal released in the last seven years have been subjected to far greater scrutiny than they might have otherwise been as a result of that trip to whatever now-defunct record store in Hereford it was. I really dug the mix of brutality and canny songwriting. tetap mengusung tema lirik tentang Sejarah Masa lalu, Satanism, Hingga Thelema, 3 Pebruari 2014 Menjadi Penantian Panjangnya menyelesaikan Diskografy terbaru Behemoth setelah materi " Evangelion ". " The Satanist " Memajang Track " Blow Your Trumpets Gabriel " masih sebagai Track Jagoan yang sudah dikenalkan sejak EP " Blow Your Trumpets Gabriel ", is a superb way to open this record. Really cool stuff - I can't get enough of that booming central riff, and those horns. And it all makes the inevitable eruption into sound barrier defiling mayhem all the more satisfying. 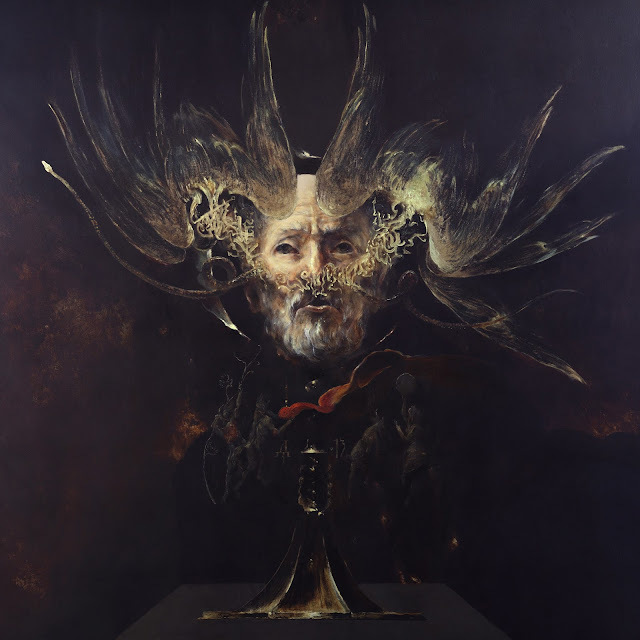 I enjoy the elegant way Behemoth have contextualised the things that have made them "famous", and if there's a bit of a groovy break here and there, bit of atmosphere splashed on. Komposisi Foreplay yang terasa Atmospheric sebagai Bentuk Idiom Panjang Konsep Album ini secara Keseluruhan. dan jika kalian masih begitu kangen dengan Kedasyatan Brutalisme beat Behemoth yang sudah Kesohor itu, silahkan nikmati Track selanjutnya " Furor Divinus ", dimana Hentakan Rapat dan Cepat Drummer Inferno Masih yang terbaik ! is full-on blasting blasphemous death metal and it sounds killer (along with its mid-paced, bass-led break, neat). Along with the opener, this is definitely one I can listen to on repeat. Masih mempercayakan sepenuhnya kepada Daniel Bergstrand-nya Thyrfing untuk duduk sebagai Produser sejak materi " Demigod " (2004), Album yang pengerjaannya banyak melibatkan sejumlah Musisi ini siap menjadi The Behemoth Masterpiece berikutnya. Selanjutnya komposisi " Messe Noire " meski Masih Bertaring Tajam, Track ini masih Kurang menonjok bagi Gw jika dibandingkan dengan " Ora Pro Nobis Lucifer " atau " Amen " yang lebih Sadis Menggempurkan Sajian Chaotic Hyperblaster. The brutal drums and harsh guitar riffs were very indicative of Behemoth's 'blackened death' style, and of course Nergal has an incredibly distinctive voice. 'The Satanist' brings a new side to Behemoth, perhaps a more melodic style, but they seem to have pulled it off! Track " Amen " Memang Paling Dasyat Hawa Brutalisme Attack-nya. " The Satanist " terlalu Eksperimental dengan beberapa sentuhan Etnis pada Harmonisasinya, namun Adrenalin Buat Headbang cukup terpancing di lagu ini. menghajar berikutnya masih dengan Blastbeat adalah " In the Absence ov Light " Perhaps Terrible thing about this album is the darkness of it. Recently, many bands have lost their focus on making music dark, and have focused on making it shocking. sebuah konsep album yang kompleks dan Atmospheric disetiap sentuhannya penuh dengan nuansa kelam ditam ini semakin mematangkan Konsep Bermusik band terdengar dinamis. This album, then, is a great listen if you want something dark and something that keeps a desire to create metal separate from a desire to create shock. However, if you're looking for old Behemoth, this is not the album for you. Artists, though, have every right to progress their music as they see fit, and Behemoth have done just that. They've progressed, for the moment, it's worked out, but we've yet to see if they can keep their blackened death roots and incorporate it into the rest of their work. And after a battle with leukemia, it's very difficult to criticize Nergal, as he's released a properly great metal album. After the Last Material " Evangelion " In 2009 , frontman Adam Michal Darski AKA " Nergal " On Experiencing Leukemia Diagnosis In August of 2010 , So Nergal also underwent several months of treatment , bone marrow transplant and Recovering condition during the season Dingin.Selain Nergal still Litigation should face trial 2 years in Prison in March 2010 in Poland on charges of denouncing religion with tear Bible on stage in 2007 . Nergal make the argument that he has the artistic license to enhance his live performance by doing such acts , and suggests that it is not meant to be something that is offensive . Nergal is supporting freedom of speech , including in terms of religion in Poland . It 's not nonsense If Nergal Doing It is considering his knowledge of religion already mastered in the study for 6 Years History of Science at the University of Gdansk , to qualify himself to be a museum curator . ever since he suffered This , Drastic Activities range in Behemoth Should stalled . In 2013 Behemoth Nergal Back after recovery of the condition as well as introducing New On The image of her that now prefer haired crew cut since undergoing post- chemotherapy hair Loss . EP " Gabriel Trumpets Blow Your " Being Nergal Longing to Return to his fans . Whether consciously or unconsciously the modern death metal released in the last seven years have been subjected to far greater scrutiny than they might otherwise have been as a result of that trip to whatever now - defunct record store in Hereford it was . I really dug the mix of brutality and canny songwriting . keep the theme of the lyrics on past history , Satanism , Thelema Up , 3 February 2014 Be Waiting length Behemoth after completing the latest Diskografy material " Evangelion " . " The Satanist " Track Display of " Blow Your Gabriel Trumpets " is a track champion that has been introduced since the EP " Blow Your Gabriel Trumpets " , is a superb way to open this record . Really cool stuff - I can not get enough of that boom central riff , and those horns . And it all makes the Inevitable Eruption defiling the sound barrier into mayhem all the more satisfying . I enjoy the elegant way Behemoth have contextualised The Things that have made ? ?them " famous " , and if there's a bit of a groovy break here and there , bits of atmosphere splashed on . 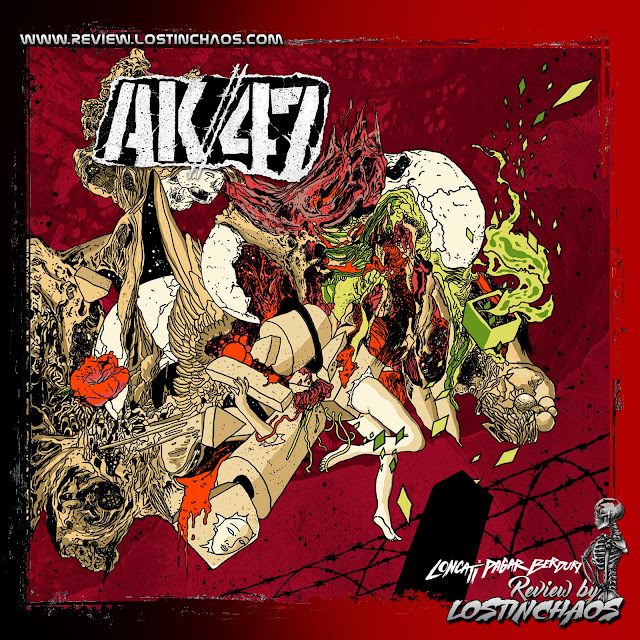 Atmospheric composition Foreplay feels as a Long Form Idiom Overall this album concept . and if you are still so missed by HTI Kedasyatan beat Behemoth already famous then, please enjoy the next track " Lycium Furor " , where the beat Meetings and Fast Drummer Inferno Still the best ! is a full -on blasting blasphemous death metal and it sounds killer ( along with its mid - paced , bass - led break , neat ) . Along with the opener , this is definitely one I can listen to on repeat . Still entrusted entirely to his Daniel Bergstrand Thyrfing to sit as a producer since the material " Demigod " ( 2004), the album that the process involves a lot of musicians is ready to be the next Masterpiece Behemoth . Furthermore, the composition of the " Messe Noire " Sharp Fanged Still though , this track is still less punch for Gw when compared with the " Ora Pro Nobis Lucifer " or " Amen " more sadistic Menggempurkan Chaotic Hyperblaster dish . The brutal drums and harsh guitar riffs were very indicative of Behemoth 's ' blackened death ' style , and of course Nergal has an incredibly distinctive voice . ' The Satanist ' brings a new side to the Behemoth , perhaps a more melodic style , but they seem to have pulled it off ! Track " Amen " Indeed, the severest Eve HTI his Attack . " The Satanist " too Experimental with some ethnic touches on harmonization , but Adrenaline Create Headbang pretty hooked on this song . The next beat is still with Blastbeat " In the Absence ov Light " Perhaps Terrible thing about this album is the darkness of it . Recently , many bands have lost their focus on making music dark , and have focused on making it shocking . a complex concept album and Atmospheric every touch is full of dark shades is added to the musical concept band ripen more dynamic sound . This album , then , is a great listen if you want something dark and something that keeps a desire to create separate metal from a desire to create a shock . However , if you're looking for old Behemoth , this is not the album for you . Artists , though , have every right to progress their music as they see fit , and Behemoth have done just that . They've progressed , for the moment , it's worked out , but we've yet to see if they can keep their blackened death roots and incorporate it into the rest of their work . And after a battle with leukemia , it's very difficult to criticize Nergal , as he's released a great metal album properly .